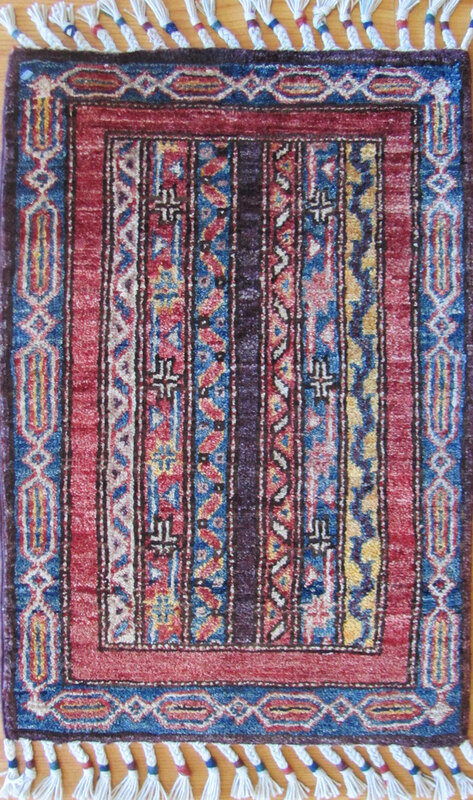 Shaal (pronounced school) design hand knotted with vegetable dyes. This is about as small as real Oriental rugs come. SKU: 28928. Category: Tribal Geometric. Tag: 1'x2'.